Bold and sultry as an espresso, Jackin’ Jill stimulates our brain cells to get us into better moods through soulful hip hop tunes. 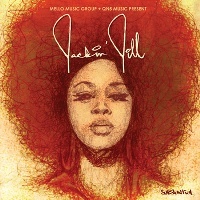 Released last April 2013 under Mello Music Group, Jackin’ Jill by Baltimore Emcee Substantial gives depth and meaning to a celebrated genre. The story behind this album is inspiring. In 2011, Substantial was facing the possibility of having cancer. He ended up having preventive surgery and while laid up, he started working on this tribute album to one of his biggest musical influence, Jill Scott. According to his Bandcamp page, the album is Substantial’s way of staying busy while healing, and at the same time giving people their roses while they could still smell them. Packed with 17 tracks, Jackin’ Jill is a collection of reworks and remixes of the artist’s tracks. Opening the album is Blessed, a cacophony of beats, sultry melodies, and Substantial’s signature stylings. This track oozes much flavor and soul, making you groove to the beat. Be Ready does the trick to kick start your lazy day. Put on your earphones and let your ears swim through melodic curves and bravura arrangement. With spurs of steady rapping weaved into soul samples, this piece balances beat and flow. In Oh Sea, the listeners are treated with whimsical musings that are intricately placed into a chill hip hop arrangement, adding pleasurable tricks into the piece. Whether you’re chilling at home or beating the daily grind, Substantial stretches his craft to create tracks that are street shuffle worthy.